One of the easiest ways to experience the highlights of The Great Barrier Reef is on a cruise. Great Barrier Reef cruises have exclusive access to some of the most amazing areas of coral reef, allowing you to explore the waters and its marine life without crowds of visitors. Many Great Barrier Reef Tours in Cairns allow you to really get up close to the coral reefs with activities such as snorkelling in a sheltered coral lagoon, group scuba diving, or you can even join a Marine Biologist on a guided snorkel safari! If you’d prefer to stay dry on your Great Barrier Reef tour, you can sacrifice the snorkel and instead witness the wonders of the reef from a semi-submersible reef viewer, glass bottom boat, or underwater observatory. Here you can come face-to-face with the fantastic creatures that live among the coral reefs, while the colourful coral surrounds you. 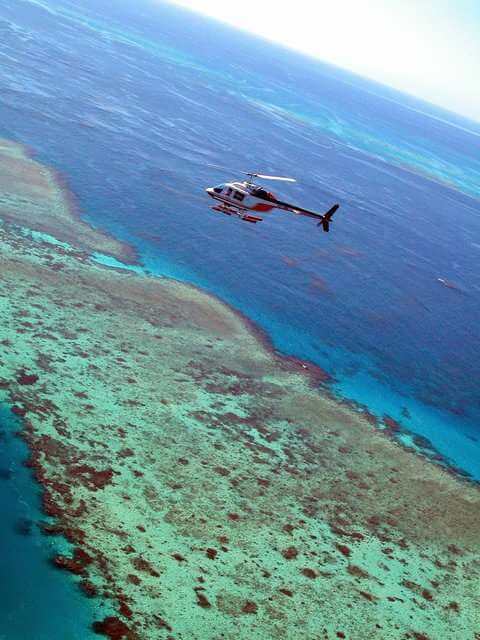 Should you opt to book a Great Barrier Reef Cruise, you’ll be surprised how much you can fit in to just a few hours. However, if you’d like to slow the pace down, many cruise boats will have a sundeck that you can relax and sunbathe on, taking in the spectacular panoramic landscapes. Of course, a cruise isn’t the only way to appreciate just how amazing The Great Barrier Reef really is! You can also book a scenic helicopter flight for a bird’s eye view of the enchanting natural wonder. You’ll be able to see the coral formations bursting with colour beneath the clear turquoise waters. And if you’re lucky, you may even spot turtles, reef sharks or schooling fish going about their daily business, so be sure to bring your camera with you. As Australian experts, we know that with a little prior planning, you can experience the best of The Great Barrier Reef in just a day. Many of the top Australia tours incorporate Great Barrier Reef day trips into their itineraries – proof that you don’t need more than a day there to have a fantastic time. If The Great Barrier Reef is on your dream destination list, you’ll love the Wonders of Australia Tour with Distant Journeys. As its name implies, it’s designed to help you discover all the wonders of Australia, including The Great Barrier Reef.